Click below to request an appointment. Please click the icon below to be taken to an area where you may leave a review. We thank you for your time and feedback and you can always call us directly if you like. 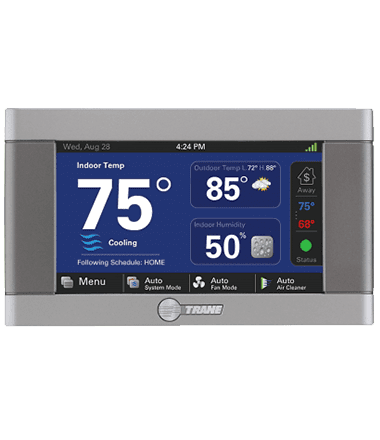 Trane’s XL1050 touchscreen control, with Built-in Nexia Bridge, combines zone by zone comfort control with a smart home hub that makes your home “Smart Home Ready”. 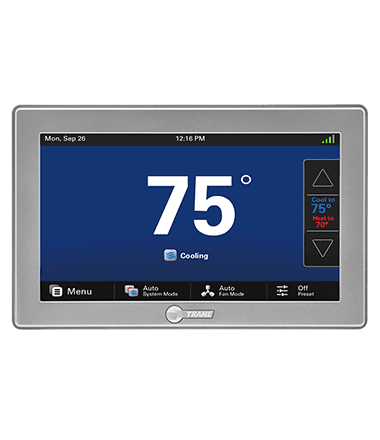 For a list of compatible Nexia Accessories, please follow this link: ( http://www.nexiahome.com/certified-products#main ) Please note that we do not install all of the listed accessories. Please contact us for more information. Every Trane is tested to withstand the harshest conditions nature or their engineers can throw at it – like freezing conditions in their System Extreme Environmental Test (SEET) lab or five-inches of water an hour in their Climate Chamber. That's how they get heating and cooling systems you can count on to run through anything. And when it's time for a tune-up, Greenwood Heating, who is a Trane Comfort Specialist™ is always at your service right when you need us. It's that kind of reliability that's earned Trane and Greenwood the positions of America's Most Trusted HVAC System and Washington’s Oldest and Most Trusted Contractor, respectively. Greenwood Heating strives to be the most trusted and respected HVAC/Electrical contractor in Western Washington. Respect and Trust are only earned by delivering products and services honestly and as promised in a professional way.